This statement, from the 1893 Mthwakazi Human Rights Restoration Movement (1893 MHRRM), comes as a way of informing its membership and all Mthwakazi people in general that the 23rd December 2017 Gukurahundi Genocide protests in London, UK and in Joburg, RSA have been deemed and declared a success by the Movement's supreme organ, the International Board, that oversaw and co-ordinated these Demos in partnership with some Mthwakazi organization representatives and the Movement's partners in the mould of Nations without States and the Tamil Movement. Strenuous efforts made by internal and external forces of destabilization to undermine, compromise and prevent the successful holding of the Demos for months failed dismally. On the very day, an attempt made by the Vigil of Zimbabwe to disrupt the 1893 MHRRM Demo and prevent it going ahead fell flat on its knees as the professional British police would not have them disrupt it. That the Vigil has been campaigning for 15 years for the restoration of Human Rights in Zimbabwe and yet would not wish that the Matebele go-ahead with a police-cleared Demo outside the Zimbabwe embassy, demanding the Restoration of their Human Rights, is astonishing. There are no Rights superior than Rights of others. The Movement gives special thanks to various Matebeleland organizations and their membership that were represented in these Demos that include Zapu (UK), Mthwakazi Liberation Front (RSA), Mthwakazi National Party (UK), Zenzele (RSA), Mthwakazi Republic Party (RSA), Matebeleland Liberation Organisation (RSA) and all those that maybe unintentionally missed in this statement. Special thanks also go to uLoyiko, a South African protest theatre group whose Matebele “Gukurahundi” Genocide Play continues to expose to the world, through stage theatre, the horrors of this Genocide. Many have been left in tears after watching this play. We continue to wish them well in getting this play recognised internationally. It will surely not be long before this happens. Special thanks are also extended to Bongani Mncube, the Matebele's Protest poet for his attendance and for gracing the RSA Demo event with his protest music that was played at the event. Our special thanks also go to SAFM Radio for responding very well to our request for an interview slot partnered by uLoyiko. Both 1893 MHRRM, represented by our Secretary for Youths and Sporting Affairs, Ray Golide Tshuma and uLoyiko, represented by its Researcher, Ayanda Manala excelled well in that interview. The interview did give the Matebele Genocide further attention it deserves, particularly in South Africa and surrounding African countries as well as internationally. 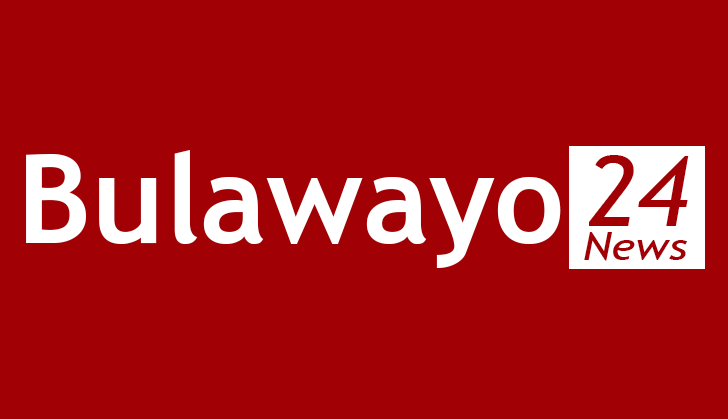 Special thanks also go to Bulawayo24, Zimeye and umthwakazireview for online website coverage and everyone who has shared our live-stream videos from TGTESCHMEDIA on Facebook and other social media platforms, groups and forums. This statement will not be complete without giving special thanks to the 1893 MHRRM partners in the UK. We give special thanks to Nations without States and its Leadership for all the support offered and solidarity messages expressed at the Demo event. Special thanks are also extended to Tamil Representatives and their vibrant Media, TGTESCHMEDIA, for strategic coverage support given and for solidarity messages expressed on the day. We thank all people of Matebeleland who are following the Demo events and all who called expressing support and interest in joining the Demos in the future as well as joining the Movement. We also thank those who showed great interest in finding out more about the Movement and requested to be afforded leaflets to learn more about the Movement and its key objectives as well as meeting some of its officials on a face to face during the Demo to get things explained well to them. It was humbling to engage such spirited Mthwakazi people who are pushing the envelope of Matebeleland national interest First. Above all the given special thanks, a special thank you go to HRM King Mzilikazi II's Office for providing an inspiring speech for the Demo and Mthwakazi in General that was read by 1893 MHRRM Secretary for International Affairs who is also the UK's 1893 MHRRM's Chairperson. Those in the UK are informed that in a couple of days, there will be an announcement on the next planned Demo date and venue as per demand of Mthwakazi people who attended the UK Demo. We will be releasing those details soon was everything is sorted out. Please stay tuned and forever Putting Matebeleland First.